That excellent combination from last year, compounded with subtle tweaks like a more comfortable pad along the bridge of the headphone, lighter design and a comparable price, make these headphones the new king of noise-cancellation … even if they’re a bit too close to last year for comfort. For the third year in a row, the 1000X are Sony’s flagship headphone. They’re feature-rich, as noted in the section above, and will sound like a premium pair of headphones should. That said, because they have so many features, they’re going to be a bit more expensive than your average non-noise cancelling headphone: $349 (£300, AU$499). That’s not cheap by any means, but it is comparable to the Sony WH-1000XM2 that was released last year. Why, exactly, are they so expensive? A few reasons. 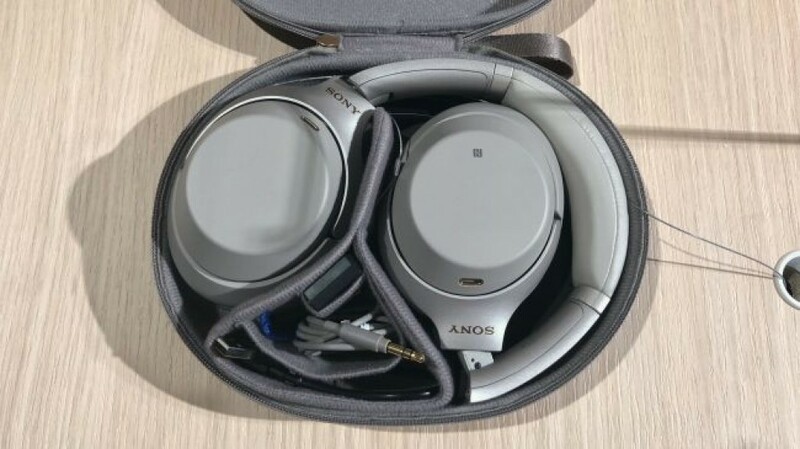 Sony put a lot of hardware inside these headphones, not to mention the four microphones that are located inside the headphone and on the outer earcups. Noise cancellation of this caliber also requires a lot of software running, which means the WH-1000XM2 has a processing chip inside that’s running calculations in real time called the NC1. 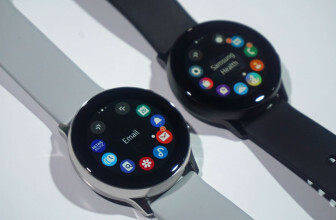 Add to that a touch-capacitive earcup that reacts to your touch and the price begins make a bit of sense. 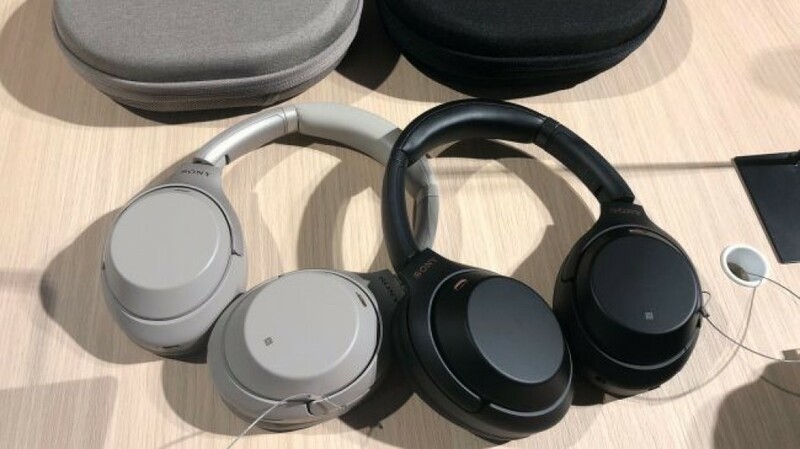 As for release date, the Sony WH-1000XM3 were announced at IFA 2018 went on sale in August 2018. Arguably the biggest changes to the 1000X are found in the design of the headphones themselves: they’re lighter than last year and more form-fitting as well. Weight-wise, the headphones shed about 1 ounce (22 grams) off last year’s design. That might not seem like a big deal, but considering you’ll be wearing these for an extended period of time like, say, a transcontinental flight, every ounce helps. The other design change is the new flush fit that changes out the old padding on the bridge for something a bit more cushiony. This makes the headphones more comfortable but also significantly less dorky when they’re on your head. Sony’s also deepened the earcup and changed out the silver accents on the side of the headphones for a copper tone instead. Finally, the last change Sony made is swapping out the microUSB port on the right earcup for a USB Type-C that could either reduce or increase the amount of cables you need to carry around with you depending on which other gadgets you carry around in your bag. Outside of the minor tweaks, these are still relatively minimalist headphones – which really appeals to the business-class customer Sony is targeting. 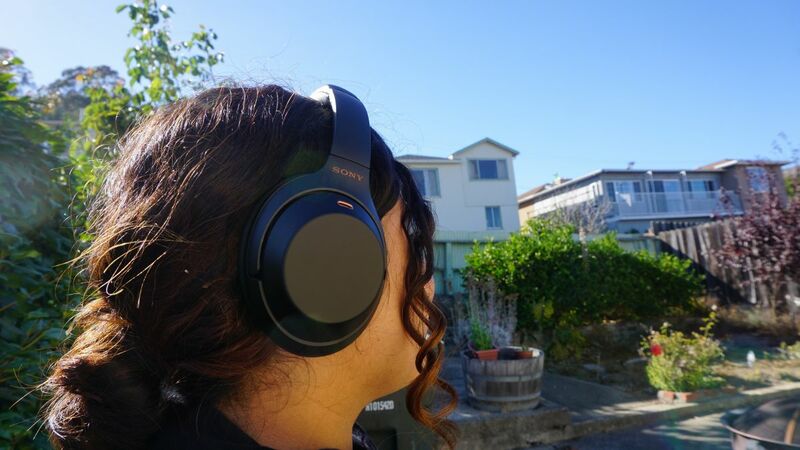 The 1000XM3 comes in only two colors – an all-black or grey-silver – and beyond an engraved Sony logo above each earcup, are totally nondescript. What’s missing here, obviously, is playback controls. Sony’s just hidden them on the right earcup in the form of a touch-capacitive covering. To skip forward, you’ll need to swipe right on the right earcup or swipe left to go back. Pausing is done by double-tapping, and resuming is then done the same way. Similarly, turning the volume down requires you to swipe down on the right earcup, and turning it up is done by swiping up. It’s a system that takes some getting used to, but once you use it for a week it becomes second nature. Of course, what you’re buying a pair of noise-cancelling headphones for is their ability to effectively block out noise. In that arena, there are none better than the 1000XM3. According to tests done by Sony, the 1000XM3 are four times more effective at cancelling noise than the 1000XM2 – an impressive feat considering how well the M2 performed this time last year. In practice, that claim definitely held true when confronted with both low-frequencies, like the kind you’d find while riding a train or flying in a plane and in workplace environments where there’s higher frequency noises like people talking or music playing. In nearly every scenario the WH-1000XM3 performed admirably, often reducing noise from a disturbingly loud hum to a more manageable buzz – and sometimes eliminating exterior noise entirely. Like last year, the 1000XM3 are able to selectively allow some noises into the headphones as well. With Ambient Noise mode selected, announcements made over train station PA systems can be heard, while Quick Attention Mode allows you to quickly pipe in external audio without taking off the headphones by reducing the volume of the music and using the microphones located on the outside of each earcup. It’s a feature you won’t find on a Bose-branded pair of headphones and one that sets Sony apart from the crowd. While noise-cancellation has enjoyed some solid improvements, audio quality remains similar to what we heard on the 1000XM2 … which might have been more of a disappointment if the M2 weren’t such an impressive pair of headphones in their own right. Like we said last year, these headphones will sound a bit better while using an Android device that supports the aptX HD standard, but even on an iPhone they’re surprisingly great. Mids are straightforward, highs come through crystal clear and bass is weighty and can have some real slam to it. 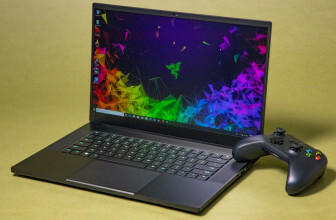 They really shine on a device that supports the LDAC codec – like, for instance, a Sony Walkman – but they’re by no means limited to those devices. 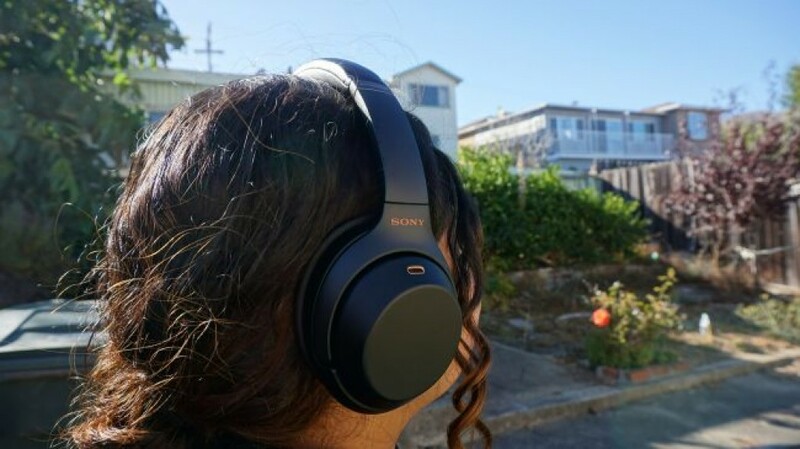 While their audio quality and noise-cancellation prowess makes Sony’s latest flagship cans some of the best noise-cancelling headphones on the market, they’ll be even better once they receive Google Assistant. 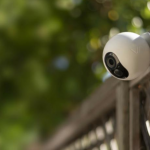 The feature wasn’t available for testing when we wrote this review but Sony says the update could be ready as soon as late September and when it arrives you’ll be able to call up the Assistant with just a tap. If you can’t wait another few weeks, that feature is already live on the 1000XM3’s main competitor, the Bose QuietComfort 35 II – but be prepared for a steep drop off in sound quality if you opt for the Bose over Sony’s 1000XM3. The last aspect of performance worth analyzing is the 1000XM3’s call quality. In several phone calls made with the headphones, the people we spoke to reported that we sounded clear – if a bit quieter – than if we had used the phone’s built-in microphone. This is likely due to the extra microphones Sony has embedded into the headphones themself. That said, while these headphones are fine for the occasional call or two they’re probably not what you’d want to use if you frequently make phone calls in an office setting – call quality isn’t as pristine on the 1000XM3 as it is on other business-ready headsets. 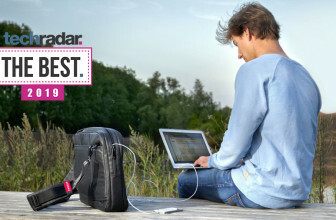 So how long will these headphones last on a charge? There are a lot of factors but, after a few days of testing, we found a good benchmark to be around 30 hours or so. Over a period of four days while the headphones were being tested (five hours a day x four days) they didn’t need to be recharged at all, ending the final night at around 30% battery life remaining. For comparison, that’s about 10 hours more than the Bose QuietComfort 35 when used wirelessly and 10 hours less than the Bose if used in wired mode. However you slice it, it’s still more than enough juice to get you across the Atlantic and back if you’re coming from the West Coast of the United States. Should you find yourself running low, there’s no need to worry – the 1000XM3 has a “Quick Charge” feature that allows you to get around 5 hours of playback after only 10 minutes of charging. In putting that claim to the test, we went from around 30% battery life to 50% after exactly 10 minutes connected to the wall. Claim verified. Should you want your headphones to last a bit longer, you can use the Sony Headphones Connect app to shorten the time it takes for the headphones to go to sleep. The default is 15 minutes, but you can reduce that number down to five minutes if you really want to wring every second of life out of them. Another year, another impressive pair of noise-cancelling headphones from Sony. To wit, the Sony WH-1000XM3 are exactly the headphones we’ve come to expect from the new leader in noise-cancelling headphones … even if they’re a bit too close to last year for comfort. So, that being said, unless you’re a style-savvy frequent traveler in need of the most comfortable and best-looking headphones or someone stuck in a crowded office who needs to make calls every hour, you should probably save some money by picking up the Sony WH-1000XM2 – they’re nearly as good and now even less than they were before thanks to a recent price drop.